New Moons are full of promise, especially when they occur in optimistic fire signs like Leo. The next one occurs on Friday, August 17, to inspire fresh waves of personal expression and creativity. Leo is the sign of self-consciousness, and the conjunction of the emotional Moon and willful Sun there inspires confidence. Transforming these admirable instincts into productive activity, though, is another story. Every New Moon has a quality of naiveté that starts its cycle with innocence and hope. This wide-eyed image of the future is particularly strong in Leo, where the idea of being the creator of one's reality holds sway. Sure, there's a potential for arrogance when we imagine ourselves to be the hub of the universe. This behavior, though, is not an expression of confidence, because bullies and egocentric individuals usually suffer a secret sense of inferiority. Those who are truly noble and strong express the generous side of this sign. Still, the highest creative aspirations associated with a Leo New Moon can fade when it's time to put in the effort needed to turn them into reality. Whether it's insecurity masked as laziness or simply an immature ability to patiently work toward achieving a goal, the way from promise to productivity isn't always easy to find. 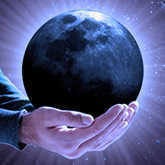 The August 17 New Moon, however, is gifted with other planetary resources that are likely to lead to desirable results. The source of this support first appears with the conjunction of Mars and Saturn on August 15. This union of the planets of action and order occurs in cooperative Libra, where alliances tend to grow stronger. Assertive Mars is normally hot with impatience and can be frustrated by slow-moving and restrictive Saturn. Yet the warrior planet is cooled with reason in airy Libra, a sign in which Saturn's needs for control are tempered with a sense of fair play. When the muscle of Mars and the administrative savvy of Saturn are operating well together positive results are bound to follow. 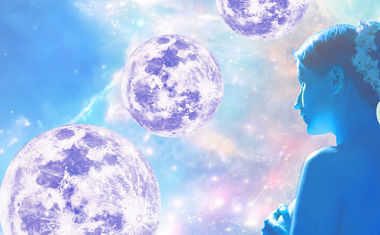 One of the primary ways to assess the nature of any New or Full Moon is to note the aspects (significant angles) of other planets to the Sun and Moon at the time of the event. On August 17, Mars and Saturn form supportive 60-degree sextiles to the New Moon. These favorable alignments mean that the energy and discipline of the Mars-Saturn conjunction is readily applied to the creative forces of this New Moon. The Lion is not lazy with feisty Mars on its side, nor careless or arrogant with strict Saturn on the scene. Any chance for imperiousness is chilled with this no nonsense pair enforcing cooperation in equitable Libra. 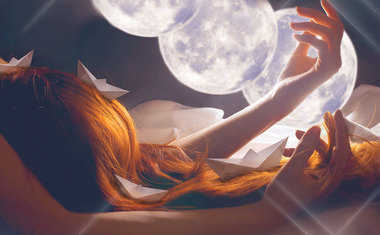 This New Moon is a special event, an uncommon occasion when the best of individual creativity, courage and even love is joined with the patience and patience and passion to make it last.